For most of my life, my eyes have been a bit hidden behind my glasses. I never really gave them much thought beyond a bit of shadow and mascara. They did what they were supposed to do, and that was fine by me. Now that I'm a little older, I find myself paying a little more attention to them. I like using shimmery shadows that can sometimes make old eyes look even older, and I also like more dramatic looks that bring attention to my eyes. This has also meant paying attention to the skincare I use to keep my eyes looking their best! 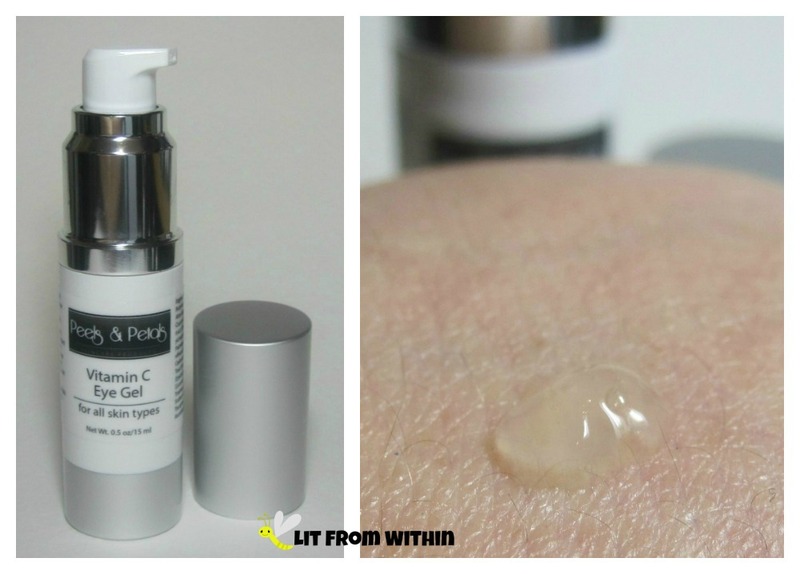 I'm a big fan of Vitamin C in skincare now, so I was excited to try Peels & Petals Vitamin C Eye Gel. My main eye issues are puffiness and slight discoloration, plus I have one eye that seems to have a crater underneath it! I'm always looking for ways to minimize these issues. 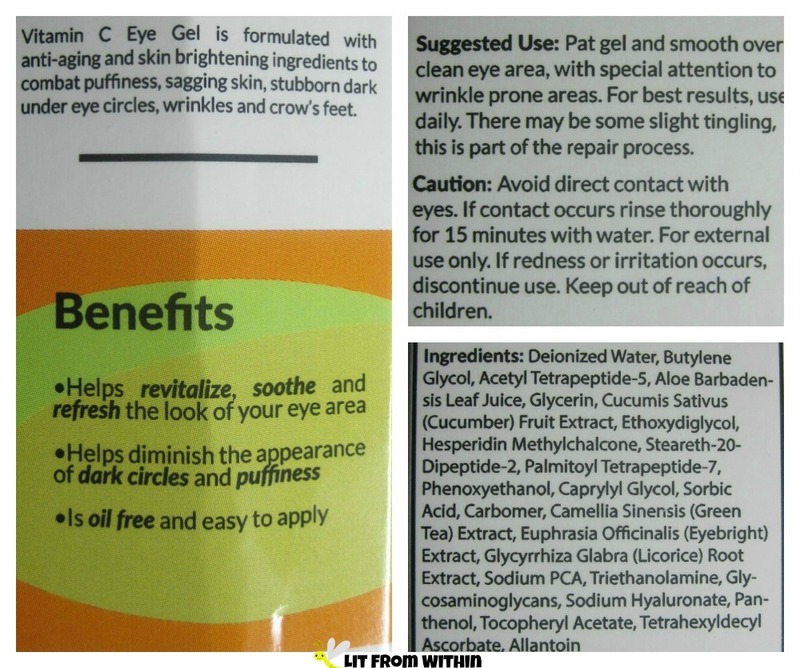 The eye gel is clear, light, and absorbs really quickly. I can't detect any odor. My eyes still look pretty good - very minimal wrinkling, less puffiness, pretty much no discoloration. Nothing is going to solve my crater problem, though. I like the packaging - the pump is small and travel-friendly. It dispenses a nice amount of product that covers both eye areas easily. It's simple and attractive, too. Here's the one issue I have with this gel, though. The label says that you may experience tingling as part of the repair process. I don't have particularly sensitive skin, but I find the 'tingling' to be more like 'stinging.' It doesn't hurt, and there's no redness or sensitivity from it, but I find it to be off-putting. It's the kind of sensation I associate with facial peels or glycolic acid treatments - not with an eye gel. I think it's just a matter of personal preference, though. Some folks like to feel that their treatments are doing something. Blingy nailart inspired by the Peels & Petals packaging. I used Sinful Colors Snow Me White for the base, and then added square rhinestones and studs that reflected the black and silver in the packaging. If you're interested in an eye gel that is more active than soothing, this gel may be for you. Peels & Petals Vitamin C Eye Gel is currently available on Amazon for $25. What do you look for in eye care?